In this post, you’ll find the top 10 posts of 2017 from our blog. 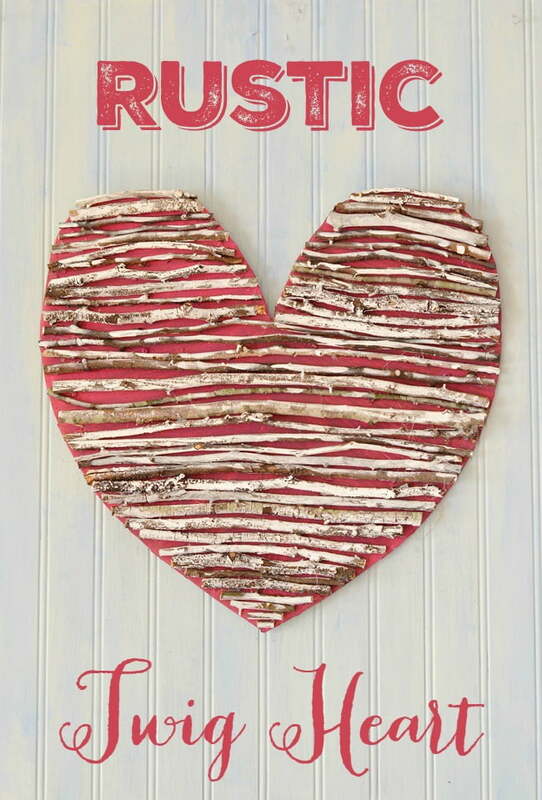 It seems like a lot of readers were interested in my rustic twig heart. I literally went out into the yard and found some sticks to make this for next to nothing. I guess that’s what appealed to so many people. You can find the direction HERE in case you want to make something similar in 2018. 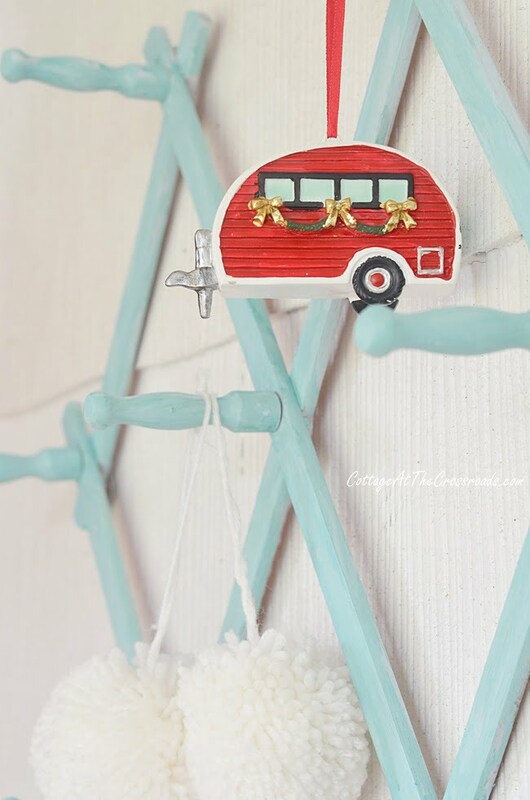 Next up is the vintage accordion peg rack that I painted back in the fall. It was such a simple project but it just goes to show what a coat of paint does to an ordinary object. .
Next on the list of the top 10 posts of 2017 was the enamelware chair fountain that we made this summer. 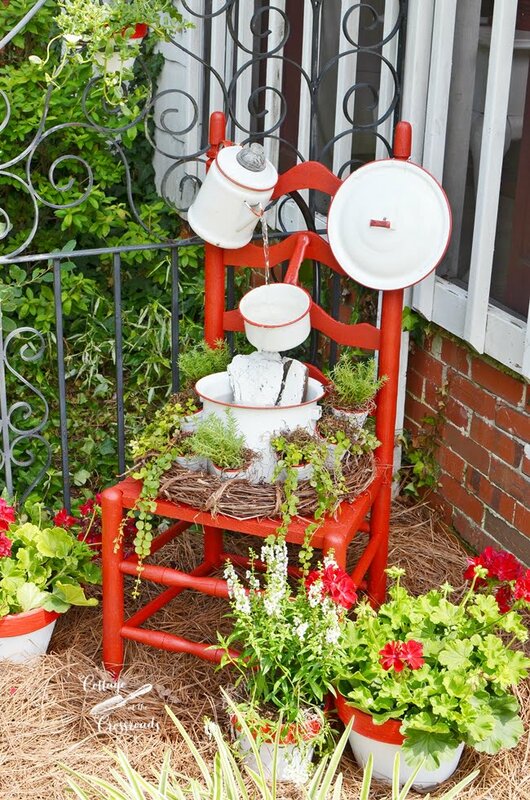 When cold weather came, we had to pull the pump out, and the chair with the enamelware pots was converted into a planter. Since I am getting the reputation in the blogging world as the pine cone queen, I decided to do another project this summer using all those free pine cones that drop from our pine tree in the year. 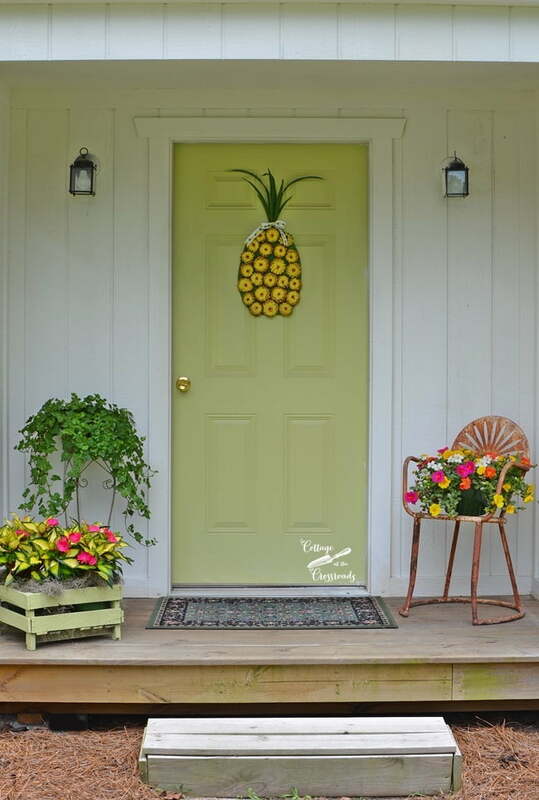 I think this pineapple wreath was a popular project because people are just crazy about pineapples! 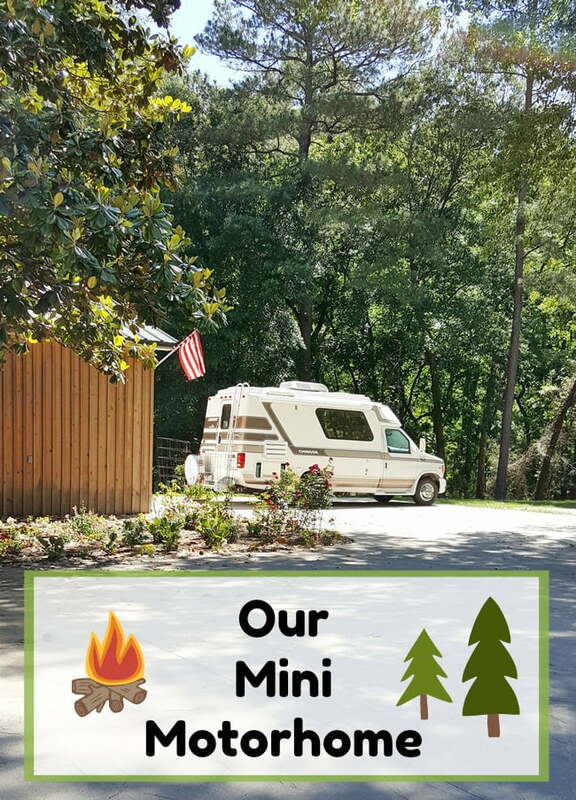 A lot of you came over to check out the post about our new mini motorhome. 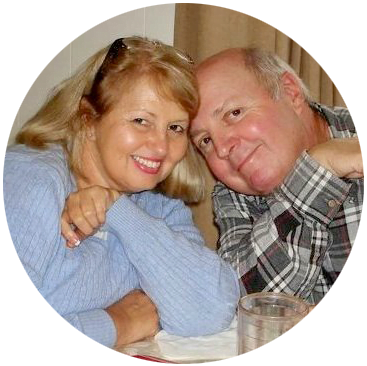 Well, the motorhome is not a new one at all, but it’s certainly new to us! We have only been able to take it on 2 short camping trips, but we have certainly been bitten by the travel bug! 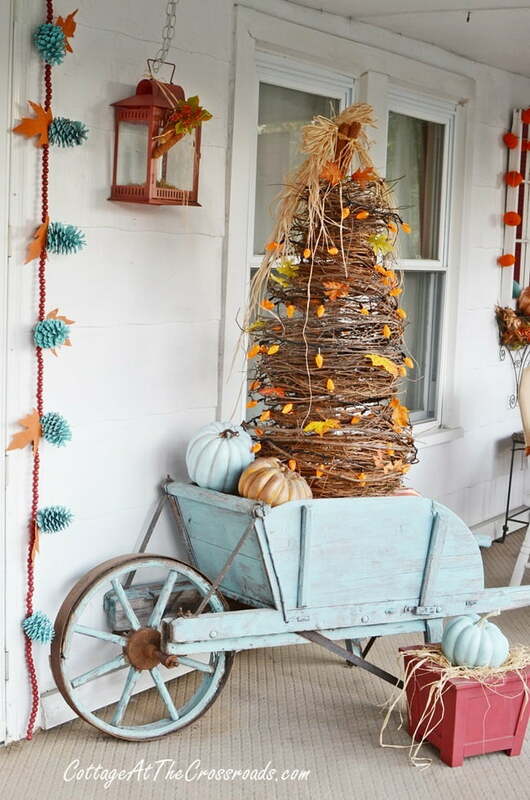 Coming in at #5 on the list is our aqua autumn porch with the grapevine tree in the old wheelbarrow. Do you think the visitors came because they wondered how the color aqua could be used with traditional fall colors? What do you think? 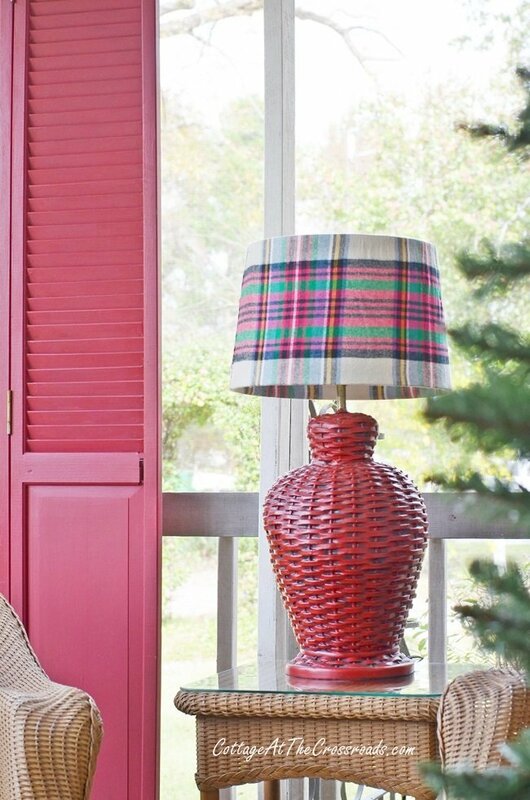 This was another simple project but covering an inexpensive lampshade with plaid flannel fabric transformed our porch into a cozy space. My biggest tip is to select a shade with straight sides to make it even easier. 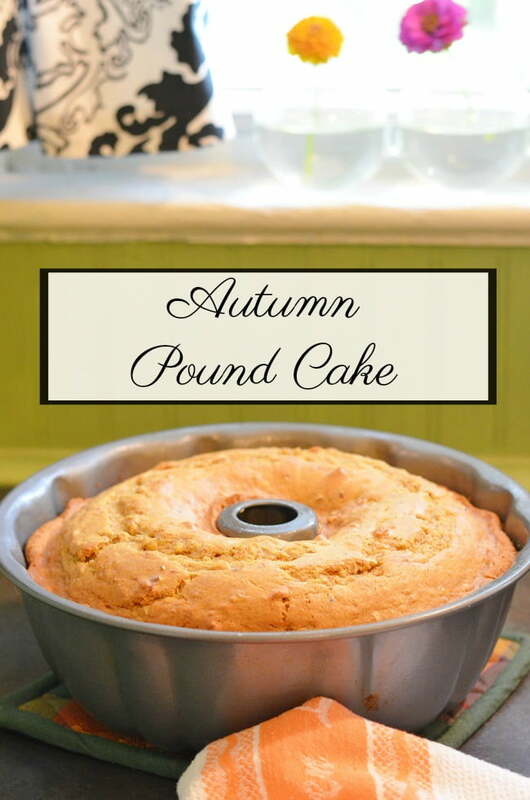 Lots of people came over to get the recipe for this autumn pumpkin pound cake. Is there anyone who can resist anything pumpkin in the fall??? 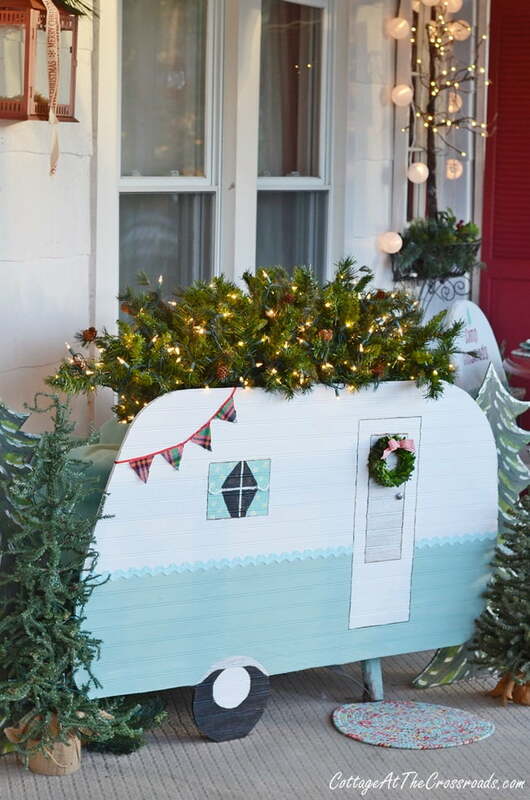 The next to the most popular post was our vintage camper Christmas porch. It really did turn out so darn cute so if you missed it, you’ve got to check it out. This is it! The most popular post of 2017! 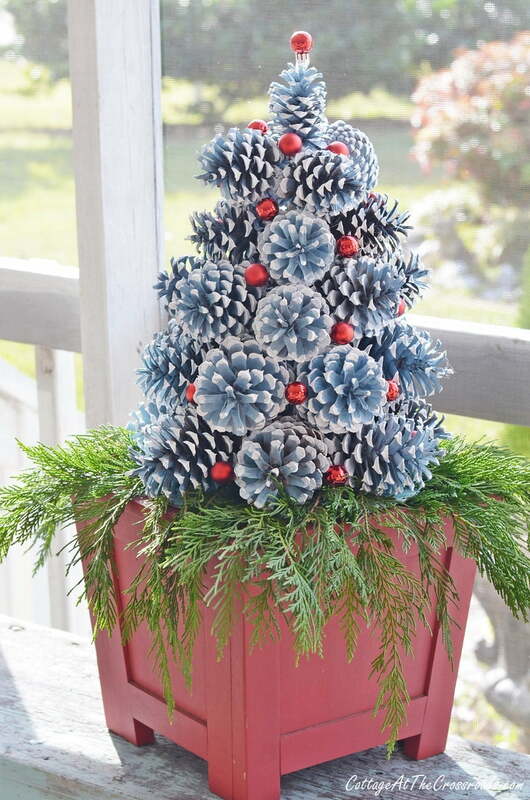 I had no idea how these trees would look when I painted the pine cones blue, but they turned out great! Leo paid me the ultimate compliment when he said these pine cone Christmas trees looked like something that you would buy in a store. I don’t think I’ll be able to put them away for a while, though. They will just have to be transitioned into winter decor! I hope you enjoyed seeing which posts were in the top 10 posts of 2017. It’s always interesting to take a look to see which posts were most visited. 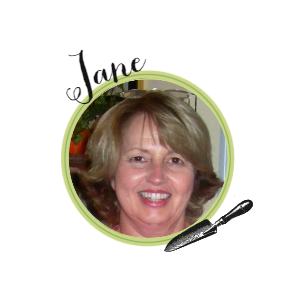 Jane, you two are so creative and do the best things to your home, porch, and garden! I thought all of these should be #1! Such creative ideas!